Among Essie Lescano’s memories of growing up in Tampa’s Ybor City is a World Series game. She and her grandfather standing in a crowd on the sidewalk on Seventh Avenue staring up at the playograph, a big electric scoreboard, temporarily erected just outside the Tampa Tribune building. The board’s tiny bulbs lit up as base runners rounded the diamond. In this community of proud, hard working Spanish-Cuban-Italian descendants. There was no television. No World Series tickets. The year was 1933 and Essie was eight years old, but no stranger to the despair that came with the long days of the Great Depression. Ybor City’s cigar industry was not immune. Widespread unemployment and hardship spread across the entire neighborhood cracking the foundation of even the closest of families. “There was not much on the table,” recalls Essie, now 93, “but we never went hungry. A lot of times it was potatoes or cornmeal mush.” Her grandfather, employed by President Franklin D Roosevelt’s Work Progress Administration, was the family’s provider. One day, an older classmate invited her to visit the local Salvation Army Shelter. There were activities there, the friend said. 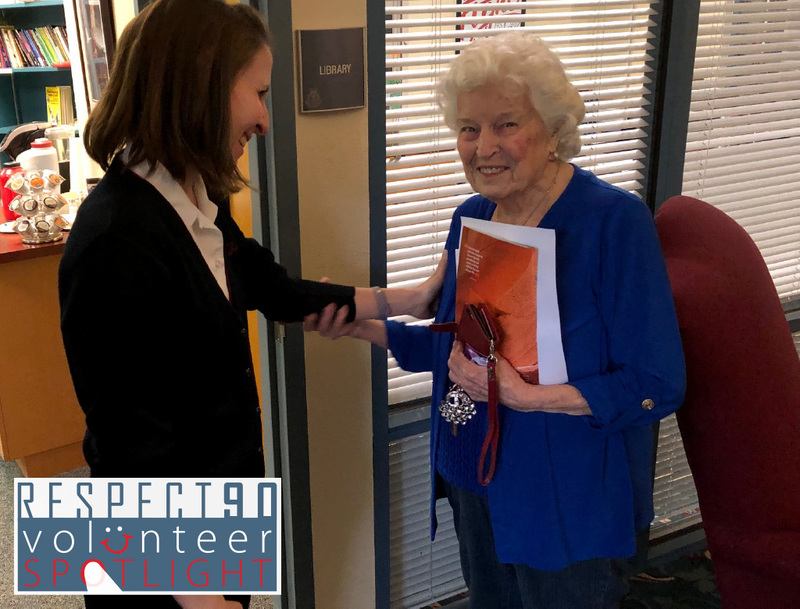 Essie may have been too young to understand the role charities like the Salvation Army were playing during the Great Depression, but she soon found out. What she saw there that day changed her life forever. “I found some very wonderful people who personified love, love that I didn’t always have when I was a child,” she says wistfully. It was love in the worst of times. Eight decades later she is still selflessly giving her time leading to a lifetime of uncommon generosity. And during that time, the 25 cents for lunch she received while ringing the bells as a teen was the only money she’s ever taken. What she is today is nothing short of amazing. Every Tuesday, the energetic nonagenarian can be found at the Salvation Army’s Community Worship Center in West Tampa with her women’s support group, a unit she led for more than 30 years. 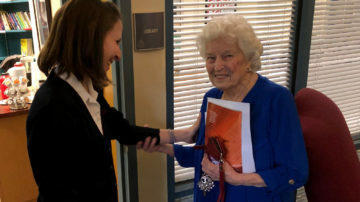 Essie is also part of a team of men and women who make hospital and assisted living care visits. That group also provides resources and outreach to our local agricultural communities. Their work includes letter writing, phone calls, making crafts and gift baskets for first responders. Somehow, she also leads a weekly bible study and support group for single mothers. “I’m no artist, “she admits, “but I’ve taught women how to paint. I’ve taught things like cake decorating, bead making and line dancing. I have learned all kinds of crafts and when I learn a craft, I teach it. The ageless, bi-lingual wonder has a passion for women and the developmentally disabled. Eventually, she and he husband opened one of the first work programs and independent living homes for individuals with disabilities in the country. Essie was one of the first people to recognize the struggles of the developmentally disabled and their care givers. She had the foresight to recognize the adversities these individuals would be facing in today’s world and planned monthly parties and dances for them. Born Esmeralda Leoni in Ybor City in 1925, Essie married Harry Lescano, a West Tampa native, when she was 17. The couple was married 72 years before Harry passed in 2015. They met when they were 12. While Essie joined the Salvation Amy to serve, Harry had dreams of becoming a musician and hoped he could hone his skills while playing in the organization’s iconic brass band, a common avenue for many budding entertainers. After first doing a 23-month tour in the European theatre of World War II, he too, eventually focused on a life of giving and the two began a journey that took he and Essie and their four children on a Salvation Army mission from Tampa to Phoenix to California and many points in between. All the while, they served. For nearly 40 years, the two were happy spreading God’s love and giving hope to those in need.